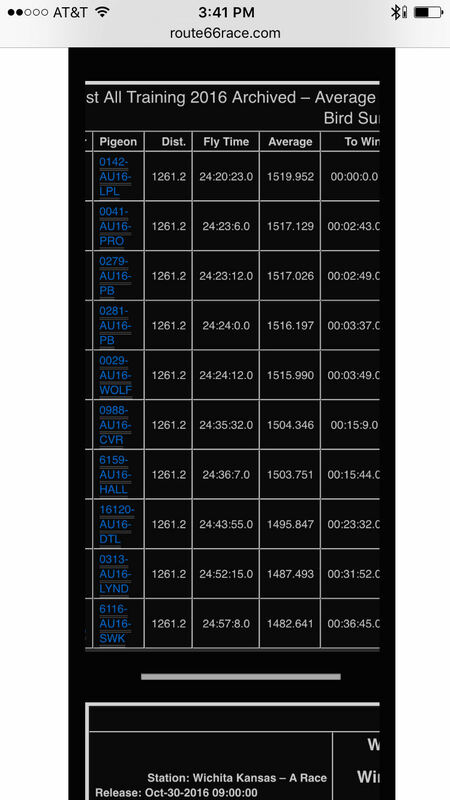 16 HALL 6159 BCWF Hen 7th overall avg Speed winner route66race.com series. Donated by Russell Hall. you are buying road tested pigeons which do not come with pedigrees unless noted. 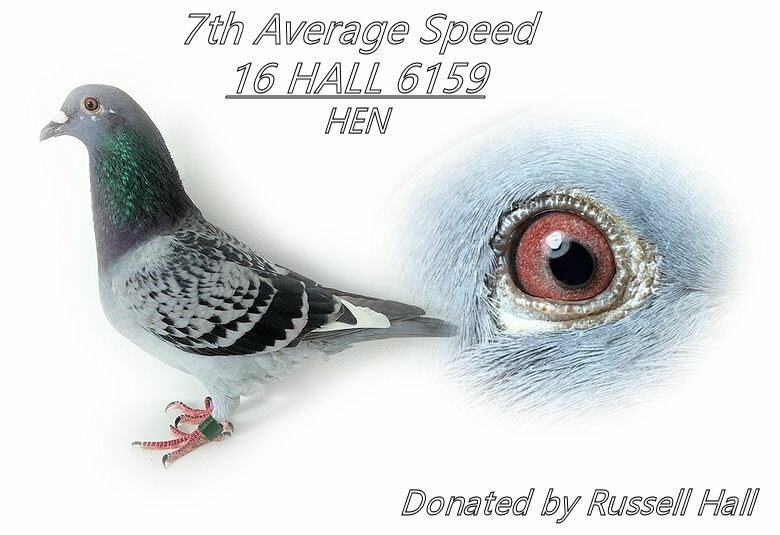 This is a super handling little hen and a very good Racer as well. Smaller type apple body , great conformation and all that!